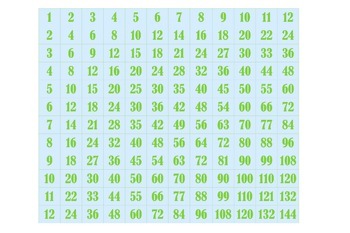 Help your students build fluency with their 0-12 multiplication facts! 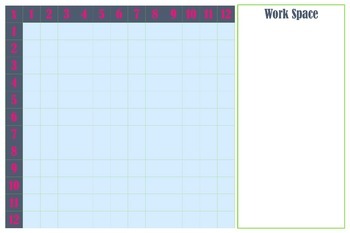 This is a 24x36 inch blank multiplication table with number tiles for students to use as a puzzle. When laminated, there is a work space on the side for students to use with a dry erase marker to work problems out if needed. Add a challange to the fun and time how long it takes them to solve the puzzle. They can work to improve their personal best or to have the best time in the class.